As you can see it is an appliance from Newcastle Airport. This was from my time as a firefigther up to 2003. 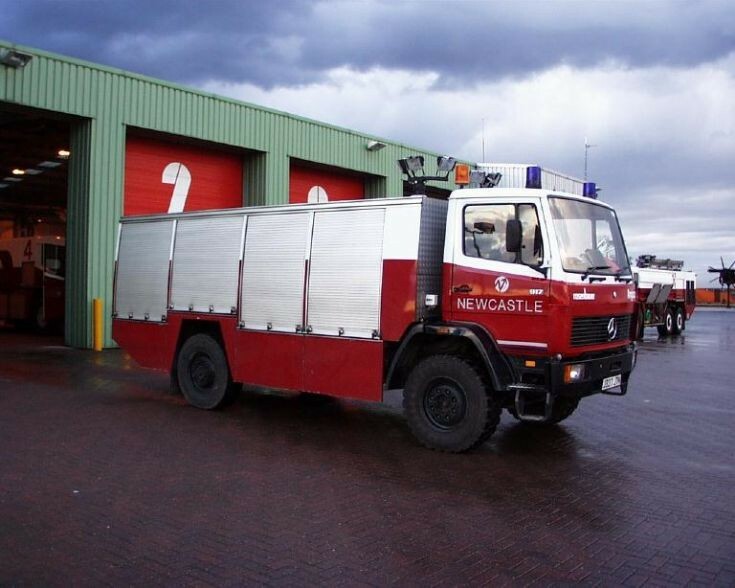 It carries no water at all, but it will become a BA control, it carries generators for lighting and cutting equipment, pneumatic equipment and small tools plus all manner of first aid equipment. It saved loading up foam tenders with unnecessary equipment. Picture taken around 1998 by myself. where did all the unnecessary equipment go when the Panther fleet went on the run? Is the equipment no longer needed or stowed on the Panthers? At the same time has the availability of fire fighting water made the HL superfluous? Added by Matthias Stockebrand on 23 August 2009. Added by James Thompson on 28 September 2010.